L O V E is certainly in the air. I have been dying to get this post published because I was really excited to share my latest skincare find. It is no secret that I am awful at my skincare routine, I do struggle to take my make-up off every single night (I am working on it - I promise) but in general my skin can look dull, dry and pretty much in need of some TLC. When SkinChemists sent over this little package, I was really curious to see what the product could do. 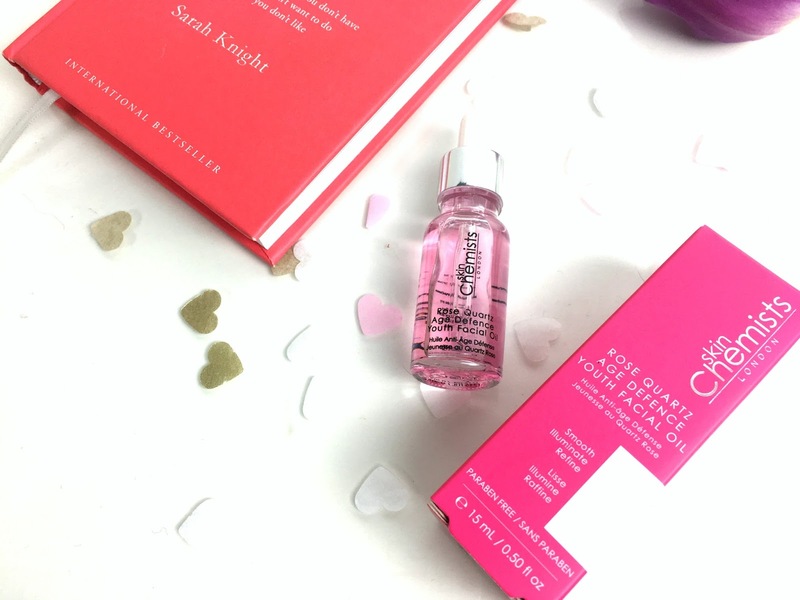 I have been testing out the SkinChemist Rose Quartz Age Defence Youth Facial Oil* and this cute and dinky bottle provides a serious amount of love for your face and with the pretty pink liquid, I think this would make a great present for Valentine's Day or for Mother's Day. The pipette is really easy to control and use on your skin, I've been lightly squeezing a few drops onto my forehead, cheeks and chin and then I've slowly and gently been rubbing it in. Even though rose has never been my favourite scent, the fragrance is so subtle and really enjoyable to use. 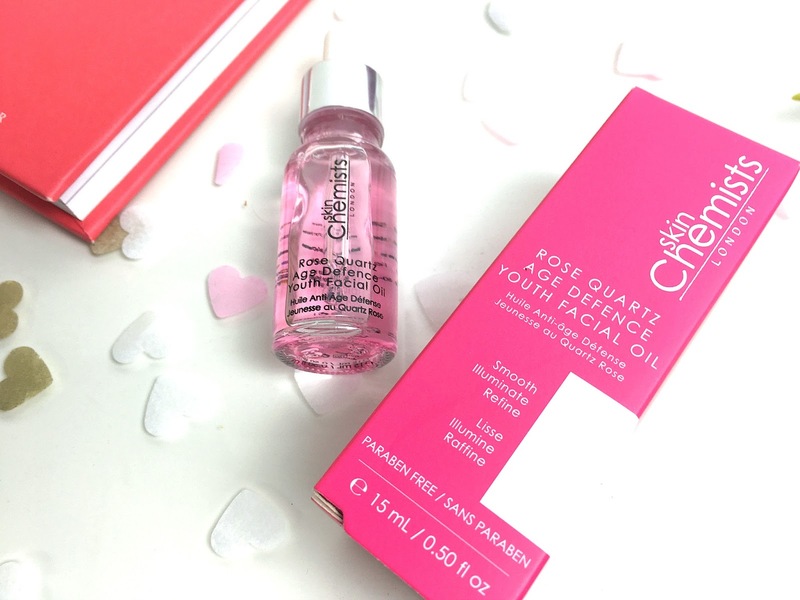 I love being excited to use skincare products, rather than it being a chore, I actually really like to treat my skin with the rose oil! Now the formula contains essential vitamins and minerals to make your skin glow, without irritating oily skin like mine. Whether you have dry or oily skin, I definitely recommend you test out the formula if you are looking for hydration and overall, skin TLC.